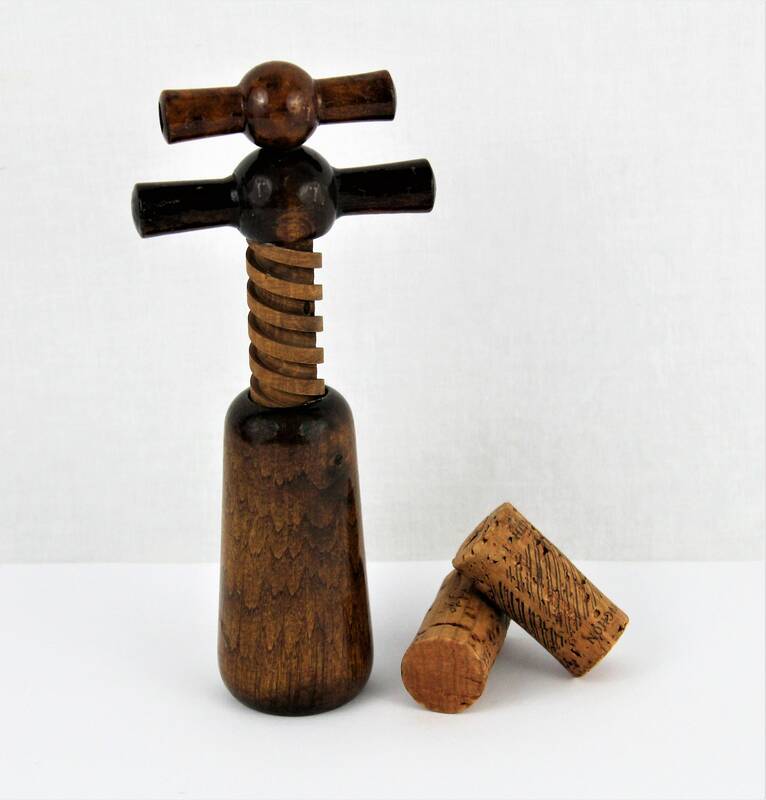 Wonderful Mid-Century Corkscrew. 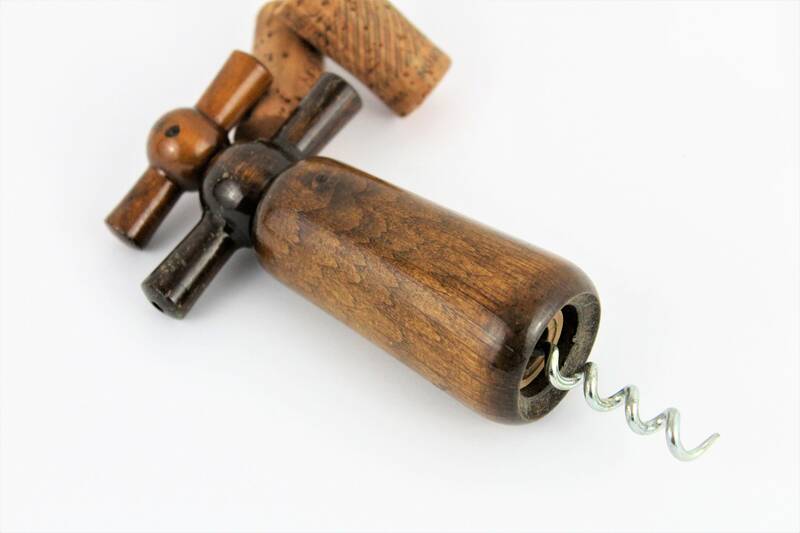 These are known as Double Action Corkscrews originally made in France. 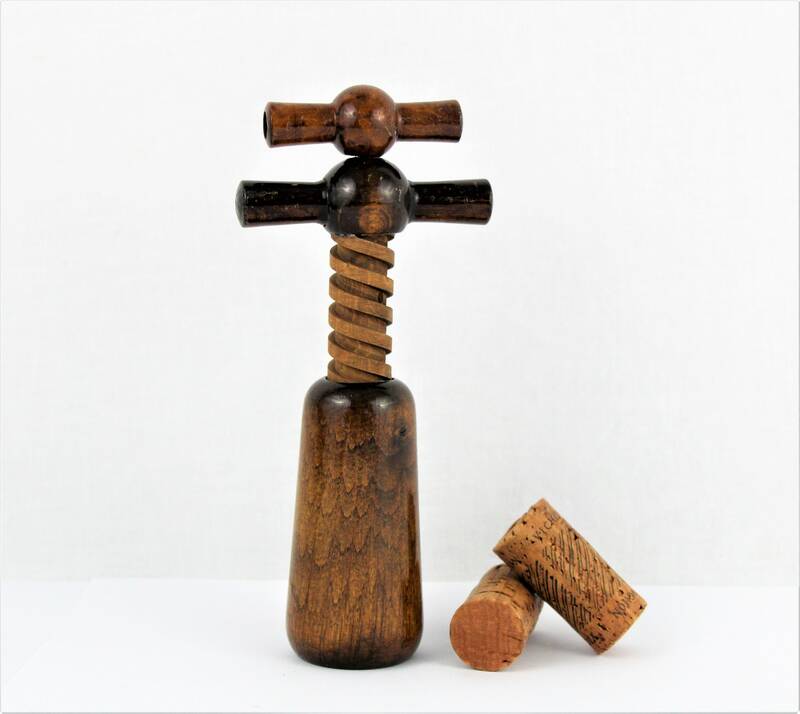 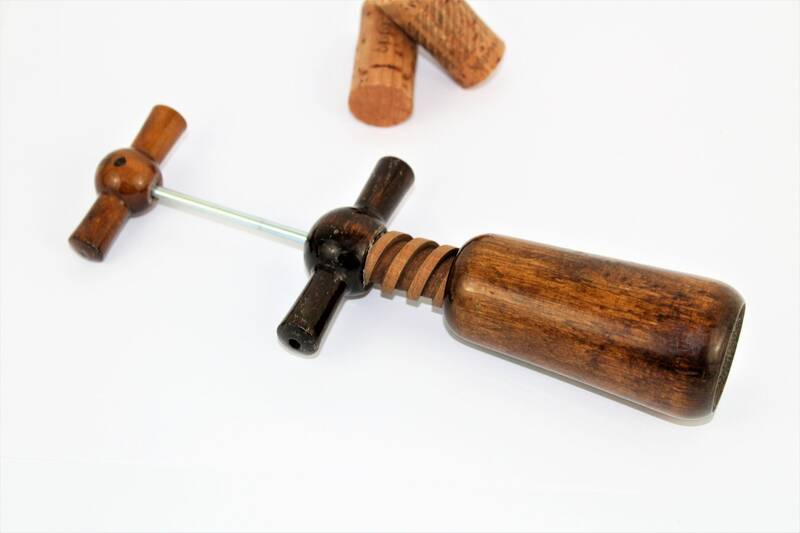 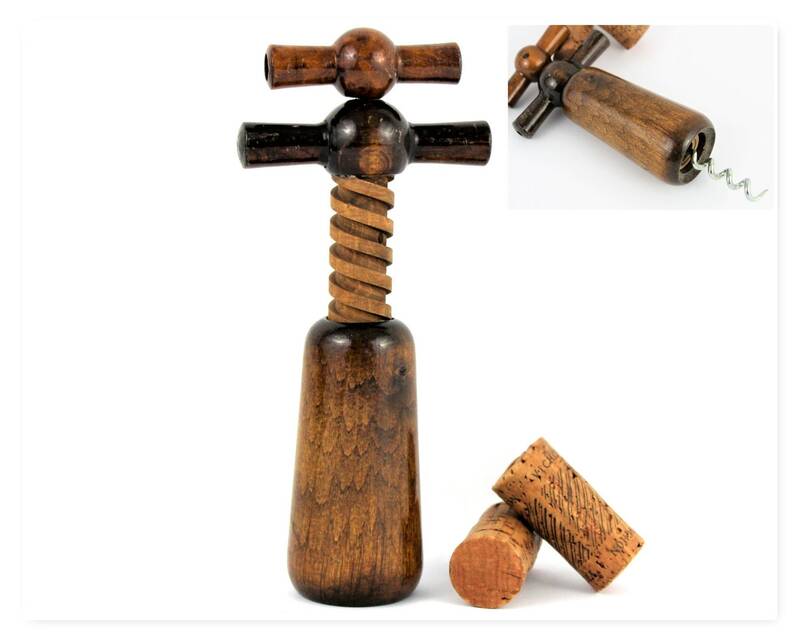 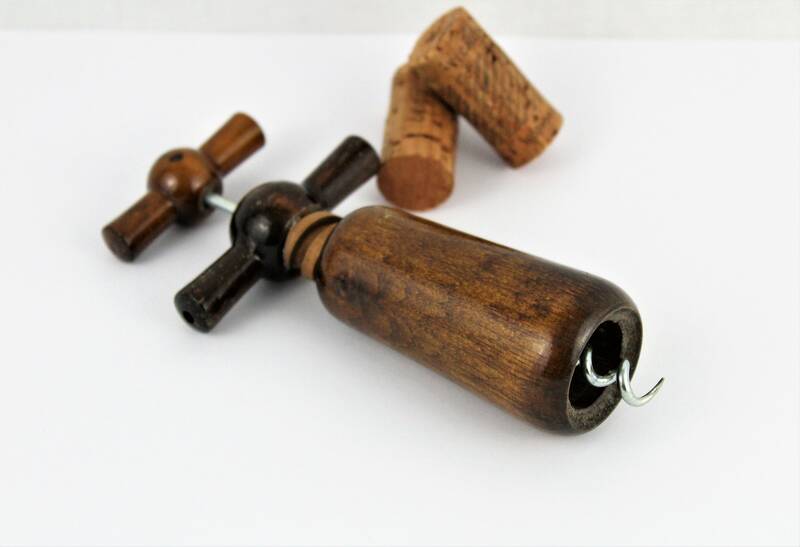 Twist the metal screw into the cork and then twist the larger handle with wooden screw to pull the cork from the bottle.